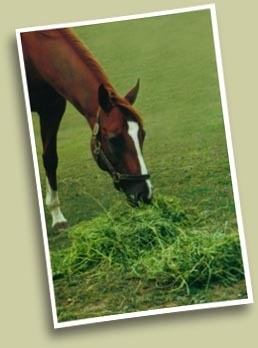 Premium Horse Hay from Dunlea Farms Ltd. Located at 400 Field Rd, Jerseyville, Ontario. For your convenience, we now accept credit card payment! Cutting: New Holland 1499 Self-Propelled Haybine With Specialized Crushing Rolls. 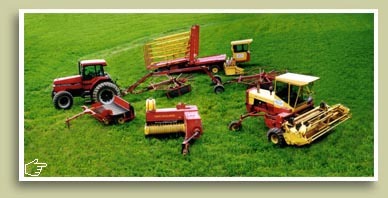 Dunlea Farms harvests top quality hay using the newest and best equipment available. This approach allows us to harvest hay efficiently, using our machinery at every step to maintain excellent control over the quality and timing of the hay harvest. Through the use of a highly automated harvesting process, Dunlea Farms has the ablity to produce large quantities of premium quality hay This is an important consideration since it is vital to maintain a consistent supply of top quality hay for our customers. The completely automated handling system gives the added benefit of reducing leaf damage in hay. This ensures that our hay has consistent and excellent feed value. 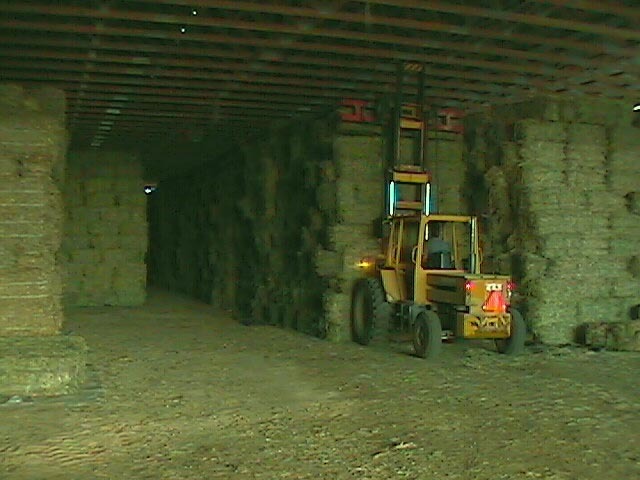 The excellent facilities at Dunlea Farms give us the ability to store and ship hay efficiently and inexpensively. Our customers benefit from having a year round supply of hay, without having to worry about where the next shipment will come from. 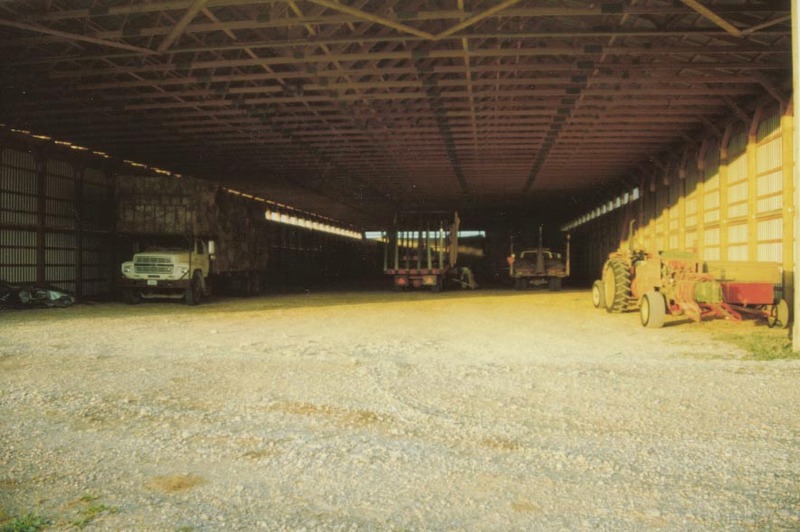 Storage for 2300 tons of hay. 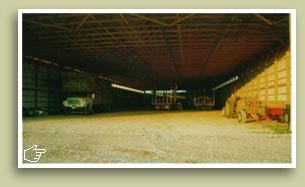 Our loading facilites are spacious, and modern. 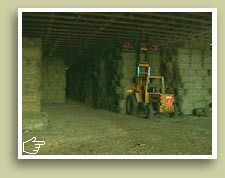 With the ability to load several transport trucks per day, Dunlea Farms maintains a consistent and large flow of hay, directly to its customers. Who says there's nothing new in hay? 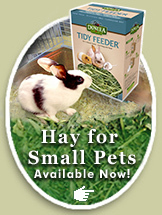 We're hard at work preparing a line of hay products and feed for small pets like rabbits, guinea pigs, chinchillas, and more! Right now we're busy making samples and testing them with pet owners like you. Unfortunately we can't show you what we're developing just yet, but we can't wait to share the news once we're ready. If you want to be one of the first to find out, leave your email address below. We'll keep you updated on how this new hay product is developing, and we'll invite you to test out some samples before it's even available on the market. That means a chance for free hay and to directly influence the design a product that will be on pet store shelves soon! Oops! That email appears to be incorrect. Please try again!